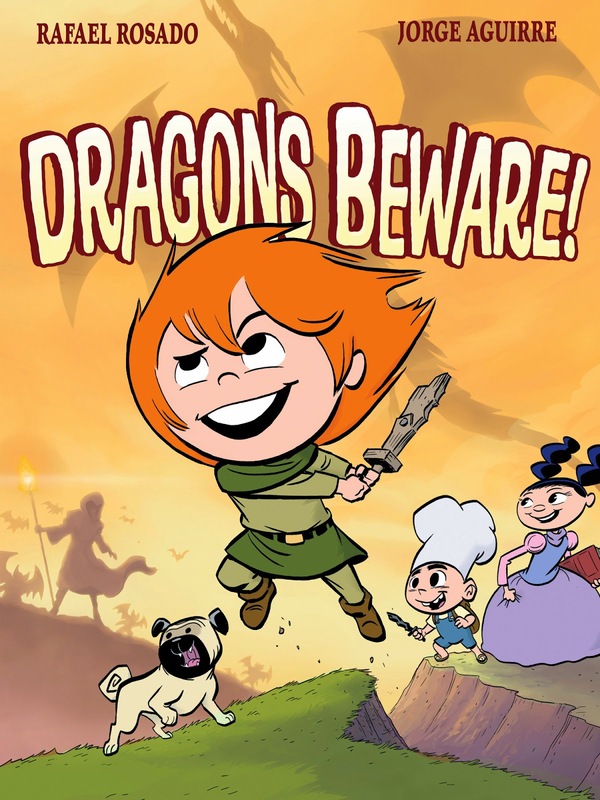 Comics&Cola: First Second announce new Giants Beware book: Dragons Beware! First Second announce new Giants Beware book: Dragons Beware! This is news that made my Friday- genuinely- in case you think I'm pulling your leg, or over-stating. In 2012, First Second published Rafael Rosado's and Jorge Aguirre's Giants Beware! which is simply, one of the finest all-ages comics I've read. I remember buying it because it was nominated for an Eisner, and quite unusually for First Second it was printed in a lovely larger format paperback (slightly bigger than A4, I think), really allowing Rosadao's (who has storyboarded for Disney and worked on everything from 101 Dalmatians to Ghostbusters to the Turtles) art to shine. Giants Beware! 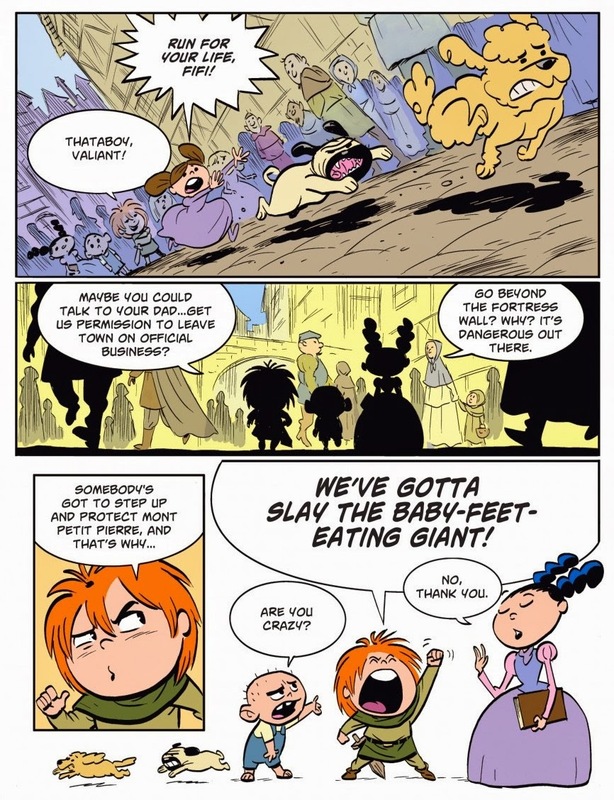 is the story of the rascally but sweet, red-haired Claudette, who's determined to free her village of the giants she's heard so much about, dragging along her younger brother, Gaston, a prodigious patissere chef, and her best friend, Marie, an alternative-thinking princess. Things, however, as not as straightforward as they seem, as the children can't quite seem to locate the giants in question. It's a joy of a book; very, very funny, warm, and the cartooning is absolutely lovely- so lively and expressive. The best thing about is the caharcterisiation of the children: each well rounded with distinctive, individual personalities, free of stereotypes and tropes. I've been aware there's been a second book in the works from keeping an eye on Rosado's Twitter, where he'll post snippets of the book's process, but now First Second have officially announced a release date, as well as revealing the title and cover. Due for publication in May 2015 (my birthday month, coincidentally) Dragons Beware! sees Claudette take on a anew foe, once again accompanied by Gaston and Marie, as they journey to retrieve the world's most powerful sword, lost many years ago by Claudette's father... to a dragon... who ate it. The spunky trio must quest to the dragon’s lair, and then find a way to get the sword back from the belly of the beast. I've included a couple of snippets from the first book below to entice you: you need to read it- it's the best fun. Don't look at me like that; it's my job and duty to spread the good comics word. Over and out.